As of late, I have fallen back in love with historical fiction. When I picked up Jeane Westin’s The Spymaster’s Daughter, I was immediately drawn to the period it was written in. I adore reading about Tudor England, especially ones of Elizabeth I. Westin’s promise of intrigue and mystery definitely lured my interest, and I couldn’t wait to start reading. Lady Frances Sidney is the daughter of Sir Francis Walsingham, the queen’s spymaster. Lady Frances takes after her father and is a smart, tenacious, and courageous woman. Unfortunately in this time period, ladies belong in the court, serving the queen, or at home with a husband. Definitely is there no room for ladies of the court to be a spymaster. But Lady Frances refuses what is destined of her. Impressed by Lady Frances’ spirit, Queen Elizabeth gives her a chance to prove herself. She begins secret work, training under her father’s decoders, momentarily living the life of a spymaster. What Lady Frances doesn’t expect is risking her father’s condemnation, her heart’s longing, and her own life to do what is right. Lady Frances is an interesting character. She is definitely tenacious and courageous, but at times I felt she was too head strong for her own good. I could only begin to understand what life was like back then, but Westin did a good job putting a Lady’s life at court into perspective. I adored Lady Frances. I loved how she went for what she believed in, but within reason. I enjoyed her adventures and day-to-day events. But there were times when her actions and I didn’t get along. I feel that I don’t understand or grasp the time period enough to respect some of those actions. Westin’s secondary and supporting cast was well placed throughout the story. Each character had an obvious reason for being placed where they were. Some I loved, and others I didn’t. Pauley was one that I wasn’t sure about. He was an obvious plot bunny, one that I enjoyed and didn’t care for. I wanted to see much more of actual spy shenanigans, rather than certain scenes. But this is my personal preference and my expectations. Westin’s writing was enjoyable. 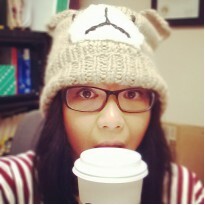 At times, I found the pacing to speed up and at times I felt it dragged a little. In a few areas of the book, I felt that there was too much information, and other times I wanted more. There are little bits and pieces that I found odd, but again, this is mostly due to my personal preferences. 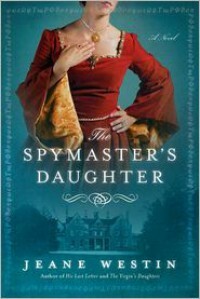 Overall, I enjoyed many aspects of The Spymaster’s Daughter. I think you will also.